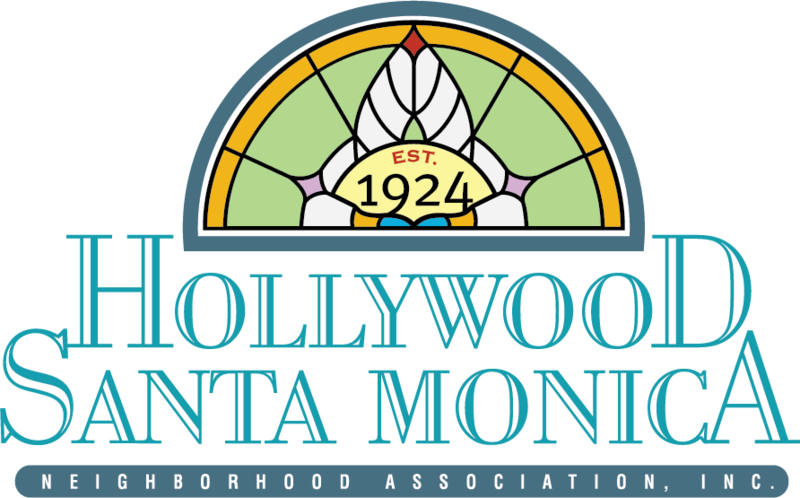 Hollywood/Santa Monica Neighborhood Association - F.A.Q. HSMNA has an email list to notify neighbors of any information alerts. The emails will only be sent to notify you of neighborhood events or urgent alerts. Email addresses provided on the membership form will be added to the email list unless you request not to be added to it. If you would like to be added to this list, please let us know by emailing crimewatch@hsmna.org. To ensure your privacy, HSMNA does not give or sell its membership list to any person or organization. How do I unsubscribe from the e-mail list? To unsubscribe from the e-mail list, contact HSMNA at info@hsmna.org. When do watering restrictions go into effect? Time of day watering restrictions begin April 1st and continue through October 31st. What are the watering guidelines? Don’t water your yard between 10 a.m. and 6 p.m. from April 1st through October 31st. Don’t allow your sprinkler system to water driveways, sidewalks or streets. Hand water or use a soaker hose. Both are permitted at any time. Maintain your sprinkler system. Repair broken, missing or misdirected sprinkler heads. Remember that automatic sprinkler system owners are required to have rain and freeze sensors installed. Monitor your total water usage. If you use more than 15,000 gallons in a month, you must pay a surcharge on the amount exceeding 15,000. Check out www.savedallaswater.com or call 214-670-3155 for water saving tips. What if I choose to ignore these restrictions? Violations can result in fines of $250 to $2,000 per incident. First offenders will be issued a warning. When is our bulky trash pick-up? Bulky trash will be picked up by the city sanitation department during the week following the third Monday of each month. Trash can be placed on your parkway near the curb as early as the Thursday before that Monday. How can I get an additional roll cart trash can? An additional roll cart trash can is available from the city for an additional monthly fee of around $15.00. You can contact the sanitation department at 311 from any phone in Dallas and request this service. Where can I find a recommendation for a good contractor? HSMNA maintains a list of contractors known to work in the area. For a recommendation, email us at info@hsmna.org and we will provide you a list. Who do I contact in the city before remodeling or repainting my house? Approval is necessary for most exterior work. The city staff is happy to work with you to accomplish your goals within the district guidelines. What schools can my children attend? Children in our neighborhood attend Lakewood Elementary, Long Middle School and Woodrow Wilson High School. There are also private schools available. Where do I report crime or security concerns? It pays for us all to be on alert for any criminal or suspicious activity in our neighborhood. If you see something, please call 911 immediately. You may also send an email to info@hsmna.org. What can I do to volunteer or contribute to the neighborhood? Volunteering is a great way to get involved and meet your neighbors. There are opportunities throughout the year to help with quarterly meetings, the newsletter, and other neighborhood projects. Come Home Tour, we need everyone to help! You may decide to act as a guide at one of our tour houses, serve refreshments, pitch in during our clean-up or help in some other way to make our home tour successful. Contact us if you are interested in volunteering. When and where are the neighborhood meetings? Watch for alert signs in the neighborhood announcing the exact time and place prior to each meeting. Neighborhood newsletters are usually circulated prior to the meetings (usually the third Tuesday of the month in January, April, July and October). Some Hollywood residents have expressed interest in holding a block party to get to know their neighbors. If you want to block the street so that you can hold the event in the street, here are the city guidelines you must follow. State the street and block number(s) affected by the closure. List the two streets at the end of the closure. List the date of closure with beginning and ending times. Name the contact person (Name, address and phone number). List each house number affected and go door-to-door obtaining the signature of the head of household. It is the citizens’ responsibility to provide barricades (three companies are listed in the yellow pages). Dallas Lite & Barricade, Inc. will rent them for $75 plus tax if you pick them up. Normally need 4 saw-horse type barricades with 2 having “Road Closed” signs (one for each end of the block). During night, barricades should be lighted. Cannot use home-made barricades unless they meet state and federal guidelines. Cannot use cars to block roadway. If you decide to have your block party in a neighbor’s front or back yard and don’t want to close off the streets, there are no special procedures necessary. Neighborhood events are part of what makes Hollywood such a great place to live!